Grey and blue define this look and play a considerable part in creating its coolness. 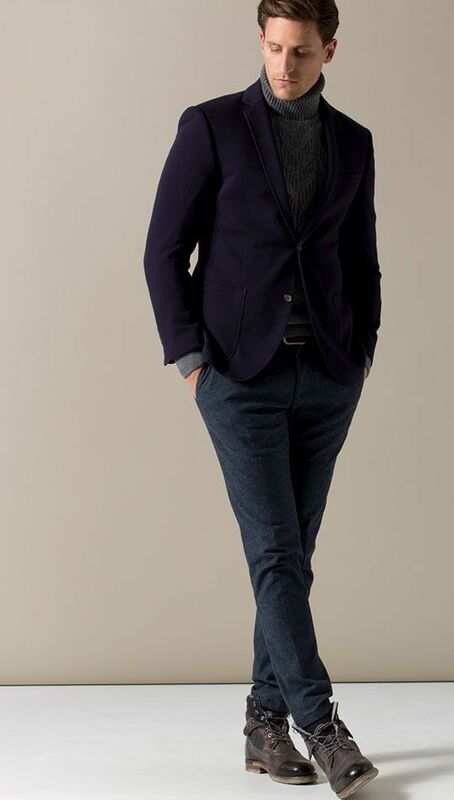 Knitwear is combined with an informal suit jacket; tweed with rough boots. Perfectly styled, but never too calculated – a look that is simply always right.